Not satisfied with your smile? Not interested in conventional fixed braces? Do you want a quick and reliable treatment? If you do, Inman Aligner will be your best choice! An excellent choice for crowded or protruding teeth. Quick, reliable and removable! 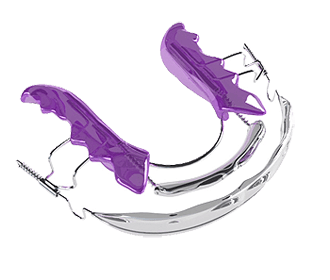 The patented Inman Aligner method is a „Stand alone“-treatment with a removable orthodontic appliance. It is mainly used for straightening of teeth, before cosmetic treatments with so called aesthetic Fillings or Veneers will be necessary. 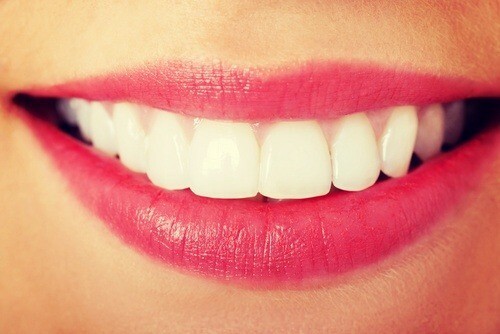 When you get the teeth straightened, you will not only get a healthy and beautiful smile. It will also have a favourable impact on the tooth- and gum health. Without teeth alignment, the teeth will continue to move freely in the mouth resulting in crowding and difficulty to clean in between the teeth. The Inman Aligner has two metal coil springs, that power two Aligner bows that gently oppose each other, successively guiding the teeth into their new wanted position. Treatment time is between 3-6 months but can be quicker. Make an appointment for counseling with our Inman Aligner certified dentist. The dentist may assess if an Inman Aligner treatment is suitable in your specific situation. A realistic evaluation will be made, in order for you to understand, how the treatment is made and the duration of the treatment. If you, together with the dentist, will arrive at a decision that Inman Aligner might be a good choice for you, a number of impressions will be made, of the upper and lower teeth, together with an index that will show how you bite together. The impressions will be sent to our dental lab, where your custom made Inman Aligner will be produced. Two weeks after the impressions have been made, the initial fitting of the Inman Aligner will take place. Then you shall wear the Inman Aligner for 16-20 hours per day during 3-6 months. Each 4th week a checkup must be made by your Dentist at TandCity. At the completion of the treatment period, a Retainer (tooth stabilizer) shall be used, to prevent the teeth from moving again. The Retainer is a very thin firm metal wire, which will be bonded to the back of the front teeth. Are you ready for a new smile? Book an appointment online.